BACKTOFRANKBLACK.COM: Witches of OZ, Lance, Backtofrankblack.. and a cat! Witches of OZ, Lance, Backtofrankblack.. and a cat! We're very excited at BacktoFrankBlack. We've been speaking to Leigh Scott, writer/director of Lance Henriksen's upcoming movie The Witches of Oz 3D and they'll be supplying us with news, updates and some EXCLUSIVE stuff in regards to this exciting production! Aside from Lance, there's a great cast there including the legendary Christopher Lloyd and "Jay & Silent Bob" anti-hero, Jason Mews! The following clip sent by writer/director Leigh Scott is a great moment with "Lance Vs cat". Leigh told BacktoFrankBlack, In the meantime, not sure if you guys have seen this yet, but it's worth a laugh. It was Lance's idea to get it up on youtube! I'm personally thrilled to see this as its a moment Lance has mentioned before with great amusement and proof that the actor will go to any length to really deliver a great scene. So without further ado, here's the Youtube clip. We'll be posting more of this as it comes from the source. 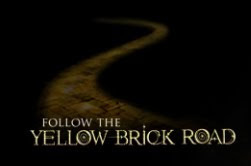 So look out for more coverage of Lance's upcoming film here at BacktoFrankBlack, and keep an eye on www.followtheyellowbrickroad.com! 1 Response to "Witches of OZ, Lance, Backtofrankblack.. and a cat!" OMG! This could be a reincarnation of a cat my friend had! You could not touch or hold it without it having a say in it, awful cat. The Penitent Man asks Millennium fans for help!